Critics charge that gay romance and Oscar contender "Call Me by Your Name" could have better maximized its box office. Here's why not. The film was one of the most acclaimed specialized films of the year; boasted elevated festival attention, strong initial limited grosses; and won major critics’ group awards for its lead performer. It had its first wide release after the Oscar nominations. By the next weekend its gross stood at $10 million. That film was eventual Best Actress-winner “Room” from A24. The bleak drama went on to gross less than $15 million. After the film passed the three-month release mark, the distributor smartly offered streaming before the Oscars, in order to add far more revenue at its moment of maximum attention. Check out why the criticisms of SPC’s release of the movie are bogus, below. 1. Did SPC wait too long to go wide? The last three months boast many finely calibrated releases by specialized companies of awards contenders. Dates are chosen strategically, including calculating when the most theaters will be available, maximizing the impact of awards and nominations, and allowing for word of mouth to spread. SPC acquired worldwide rights to “Call Me by Your Name” last January just before its rapturous Sundance 2017 premiere. Co-presidents Michael Barker and Tom Bernard waited to position the summertime gay romance with a relaunch at Toronto (often a game plan for top Sundance releases), then launched on four screens in New York and Los Angeles on November 24 for maximum initial attention during the late-year prime awards months. The duo chose to open the Friday of Thanksgiving weekend (two days after Focus opened “Darkest Hour”). Boosted by ecstatic reviews (Metascore: 93) and in-person weekend appearances by the principals, their per theater average totaled over $100,000, an excellent result. SPC limited its first expansion to theaters in their first metropolitan areas, then moved to major cities, still limited, over Christmas. The company added several hundred more on January 19 (after a small jump on January 12) with the first substantial media buy. Some suggest that a Christmas break would have been the way to go. Sure, the movie would have played in a prime eight-day period (every weekday a Saturday night), but would have never gotten the same number of theaters (the competition for screens was hyper-intense) including many of the top-tier best cinemas for the film. And doing so likely would have meant many dates would have completed before the crucial Oscar nominations boost. At Christmas, “Call Me” would have been competing with many of the same theaters showing “The Shape of Water” (going wider for the first time), “Darkest Hour” (expanding), and “Three Billboards Outside of Ebbing, Missouri” and “Lady Bird” still playing, as well as a wide range of new studios releases with inevitably some audience overlap. Instead, Barker and Bernard went when they expected top Oscar nominations–landing four. (The “Call Me” total was lighter than they had hoped, with no director and rival supporting actors knocking each other out.) And SPC offered the freshest specialized title in many of the best theaters at a time with far less studio competition. Could SPC have pushed a tad earlier in key cities so that the film could widen more quickly after its huge platform start, elevating both gross and attention? Few in the industry believe that it made sense to go into multi-hundred dates that soon. 2. Should SPC have gone wider by now? This is the “strike when the iron is hot” argument, which works only if a case can be made that there is an underserved audience waiting to see the film that has been denied the opportunity. The reality: the audience for the film is limited. Unlike most of the other nominees — which range from wide release studio (“Dunkirk,” “Get Out,” “The Post”) to sophisticated mainstream titles with established actors and/or directors (“Three Billboards,” “The Shape of Water”) — “Call Me” hews closer to an arthouse European sensibility. It is a period film of the most difficult kind: within the memory of many viewers, yet the 80s were a distinct sensibility and time, pre-AIDS, which looms large over the film. And of course with a gay romance and sexual activity, many viewers have raised the issue of a 17-year-old, even if he exercised his own agency, partnering with a grad student in his mid-20s (who many think is even older; Armie Hammer is 31). Unlike “Brokeback Mountain,” “Call Me By Your Name” does not boast two established attractive movie stars in the leads. Nor does it have a marquee auteur at the helm. Unlike Ang Lee, Luca Guadagnino has established himself only in specialized circles, and still isn’t easily identifiable even by cinephiles; his two earlier films “I Am Love” and “A Bigger Splash” grossed a combined $7 million. And “Call Me” did not sweep critics’ groups. The “Brokeback” Oscar loss came as a shock, as it had won most of the precursors (except for SAG Ensemble). And the earlier film came as the highest profile gay male romance ever released on this scale at the height of the specialized division era. Today’s specialty market has been diminished by competition from both online streaming and premium cable. “Call Me” is pushing to break the ceiling for gay-themed awards contenders. Best Picture contender “The Kids Are Alright” with two major stars topped out at $20 million. The transgender “The Danish Girl” with Eddie Redmayne–released right after he won Best Actor — managed only $11 million. “Carol” starring Cate Blanchett and Rooney Mara, despite a huge Weinstein push, topped out at $12 million with no Oscar wins. Amid several $100-million hits, “Dallas Boys Club,” starring Best Actor Matthew McConaughy as a straight man with AIDs helping his fellow sufferers get drugs– managed $27 million. With A24 doing everything right, “Moonlight” won Best Picture but topped out at $27 million. The one exception — “The Imitation Game” — framed its portrait of a tortured gay man within an appealing ticking-clock anti-Nazi narrative, and scored $91-million domestic with only an Adapted Screenplay win. “Dallas Buyers Club” at its widest reached 1,110 theaters, 295 more than “Call Me”‘s current break. And that’s with a top star already favored to win Best Actor. The reality is that at 815, SPC has reached close to the saturation point when it can hope to attract much business. Some smaller towns with fewer screens still have several weeks to play the film. But most, like many of those playing the film this past weekend, would likely have grosses of $1,000 or less. 500 more theaters this week might have increased the gross by as little as $500,000 (with some costs incurred by SPC for digital card and shipment); they get back less than half that amount in film rental. 3. Is SPC supporting the film? We don’t have access to spending figures for “Call Me,” but SPC is known to spend less than the other studio divisions and such high-flyers as A24. Coming in a period when so much money is being thrown at competing titles, it’s tough to establish an equal presence. That’s one argument for expanding outside the holidays when no other title (except “I, Tonya”) went wider for the first time — a film can get more attention with less advertising. Advertising costs can raise expenses to the point where the extra gross raised (remember a distributor only gets a less than half share) is more than the money returned. That’s a point seen over and over by studio divisions and indies alike (Paramount Classics closed soon after “There Will Be Blood” was a strong contender with heavy ad support). At the end of the day, the point is to make a profit. SPC bought rights for “Call Me” for a reported $6 million. Through their combined power with access to mainstream Sony, selling rights to their territories will make money for them throughout the world. That was another reason to target a late-year release to maximize Oscar nomination chances — vital for making the film more playable in many territories. And their access to Sony deals on cable and other outlets also ensures them revenues not as readily available to totally independent distributors. Let’s estimate a total gross somewhere above $17.5 million. That gets them close to making a profit when later revenues add in. Bernard and Barker have survived for 25 years running SPC (and were an active management team for another decade before). Their long-term survival comes in part from frugality and not throwing money at movies solely to increase the appearance of a robust domestic box office. One can quibble with aspects of their release. Did they adequately do marketing and outreach to core groups interested in the film? SPC sometimes takes on chasing improbable Oscars. Their push of Annette Bening for Best Actress for “Film Stars Don’t Die in Liverpool” came with a New Year’s weekend one-week qualifying run that yielded no awards. Now the film will not seem as fresh as it might have with an early-year release untainted by the long-shot attempt at getting into the race. “The Leisure Seeker” with Helen Mirren and Donald Sutherland got the same treatment with even less chance of success. Just a few years ago, Oscar contenders “Whiplash” and “Foxcatcher” grossed little more than “Call Me” has amassed so far. Both films went streaming early after nominations, likely earning them considerable additional money before moving on to cable and other showings. Passionate fans of “Call Me” and other observers comparing gross totals for contenders without context are off-target in jumping on SPC. Distributors can only do so much in giving a film a chance to play, and SPC has done an able job so far. If “Call Me” isn’t grossing more, apart from the issue of too much competition and less appeal than other nominees among some audiences, at some point the film and the reaction to it is something no distributor can overcome. 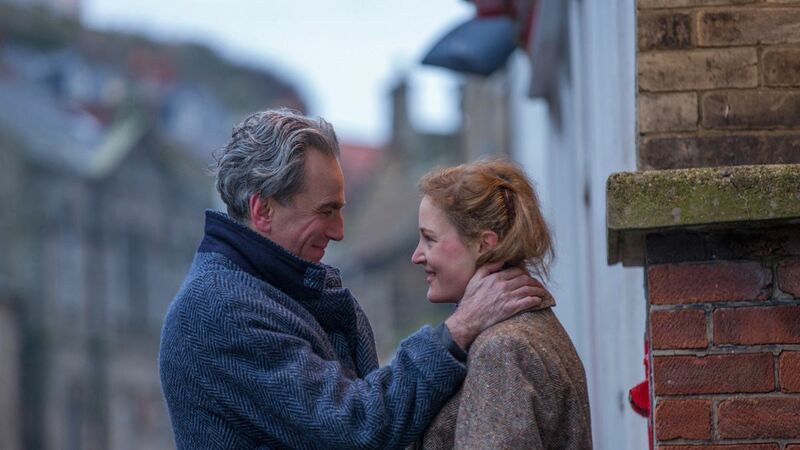 So far Focus Features’ “Phantom Thread” has grossed about the same as “Call Me,” with a bigger name (Daniel Day-Lewis) in the lead, a director (Paul Thomas Anderson) with a major following, equal reviews and a slightly better nomination haul (six). Their results, adding most of their new theaters over the last two weeks, aren’t close to levels seen by other recent successes. But their theater average is higher despite playing more theaters. Per reliable sources, “Phantom” will keep its print count around 1,100 going into next week. Focus, an arm of Universal, has deep pockets, international involvement, and a desire to nurture Anderson for future projects. Annapurna’s film started with a higher investment (reported as over $30 million); “Phantom Thread” will face a challenge getting into the black, but Focus’ recent successes “Victoria & Abdul” and “Darkest Hour” will afford them some leeway in spending more freely. Twitter isn’t ablaze with complaints about Focus, despite a similar gross. “Phantom” likely ends up with a slightly higher domestic gross (well above Weinstein and Warner Bros.’ respective releases of Anderson’s previous “The Master” and “Inherent Vice”). Distributors make myriad decisions over different films and release patterns. Nobody does a perfect job, but it’s hard to see results being much different for “Call Me,” and some proposed alternate scenarios would have lost the film money and potential profit.